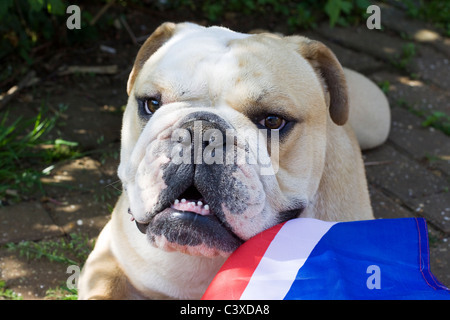 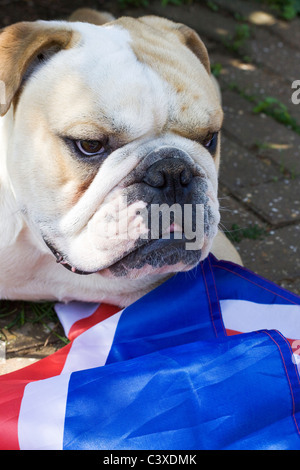 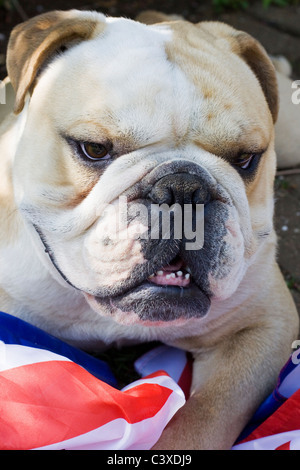 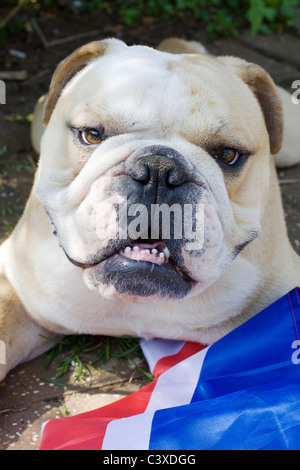 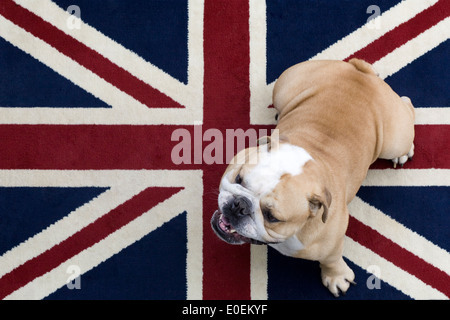 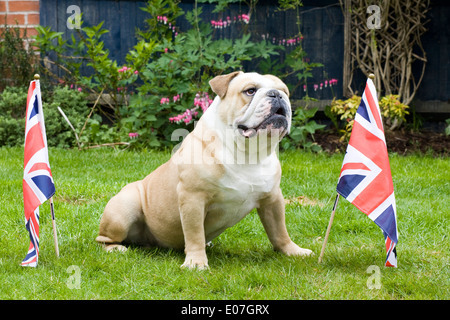 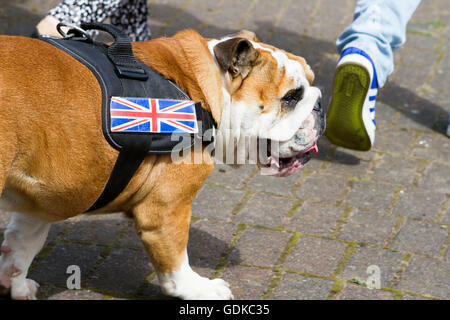 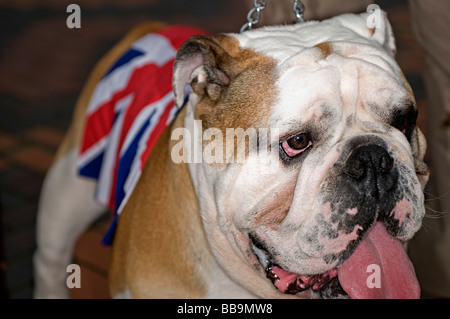 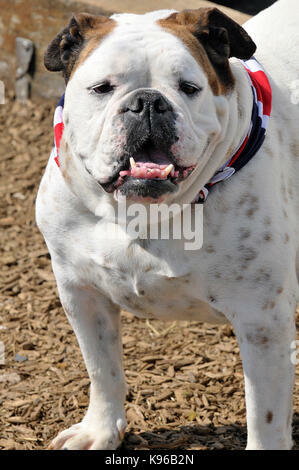 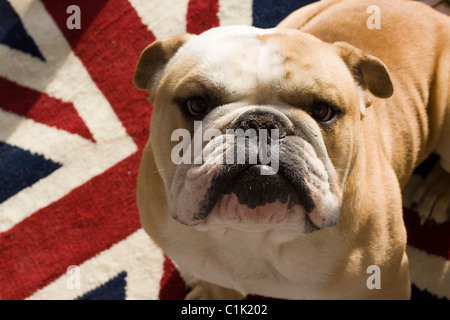 a british pedigree bulldog with a union jack flag around it's neck. 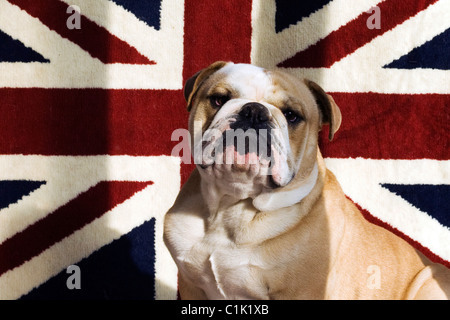 Typically british animal. 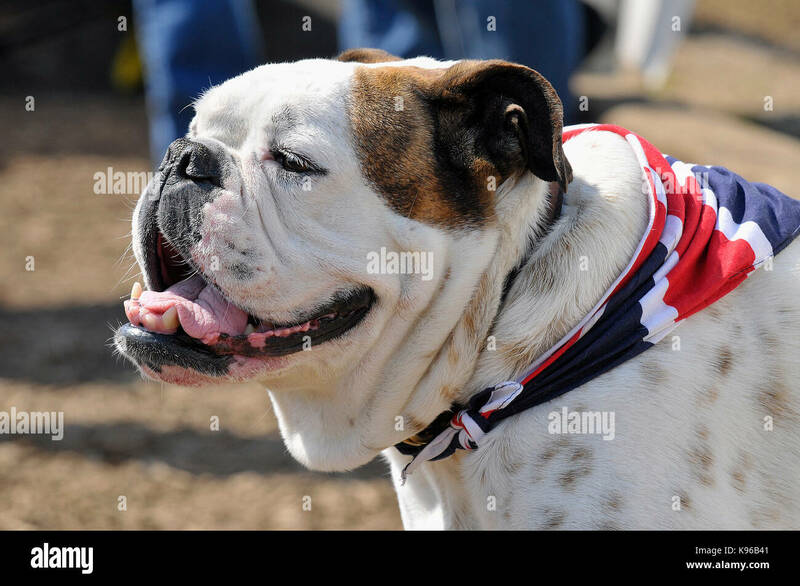 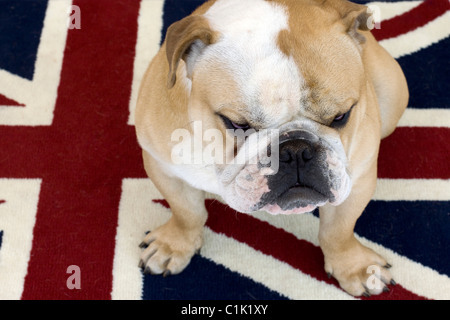 abritish bulldog wearing a union jack flag scarf around it's neck looking angry or grumpy and representing all that is british.